Enemy Ace Joins The Artist’s Edition Ranks! Reimagining the popular war stories that filled the pages of comic books throughout the 1950’ and 1960’s, Joe Kubert’s Enemy Ace made an unlikely hero into a genre icon. 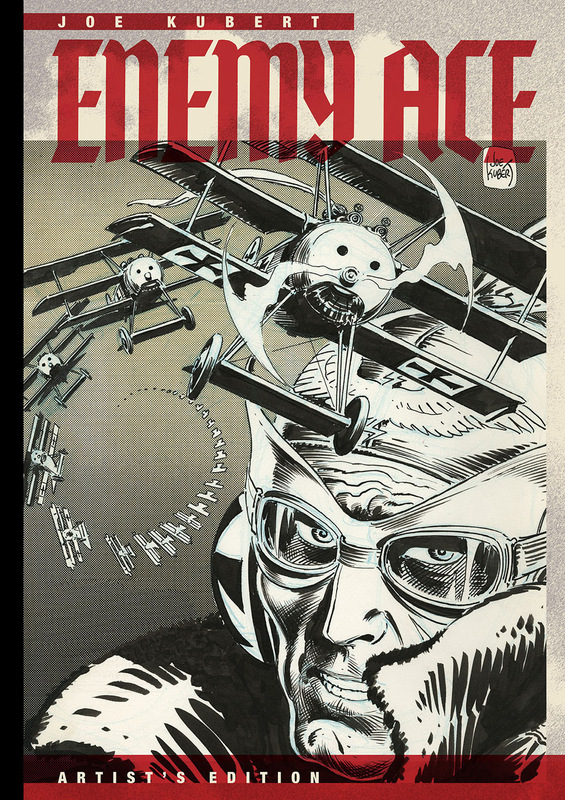 The classic tales of airborne suspense that first thrilled readers over 50 years ago, will make their mark all over again with Joe Kubert Enemy Ace: Artist’s Edition. Created by Robert Kanigher and Joe Kubert in 1968 as an alternate take on the highly successful war-based comics, Enemy Ace introduced a hero that by all superficial definitions was a villain. A high-flying pilot for the Germans, Hans von Hammer was a star soldier but morally conflicted by the duties that his role demanded. Joe Kubert: Enemy Ace Artist’s Edition presents five entire issues of the decorated DC Comics series Star Spangled War Stories, including #139, 140, 141, 142 144. Scanned directly from the original art, this complete collection will also feature bonus material like covers and promos. At over 150 pages, the Artist’s Edition measures at 12” x 17”. The masterwork joins the two Artist’s Editions that already showcased Kubert, Joe Kubert’s Tarzan of the Apes and Joe Kubert’s Tor. Joe Kubert’s Enemy Ace: Artist’s Edition lands this November, keep an eye onfacebook.com/idwpublishing for pre-order information and more Artist’s Edition news!